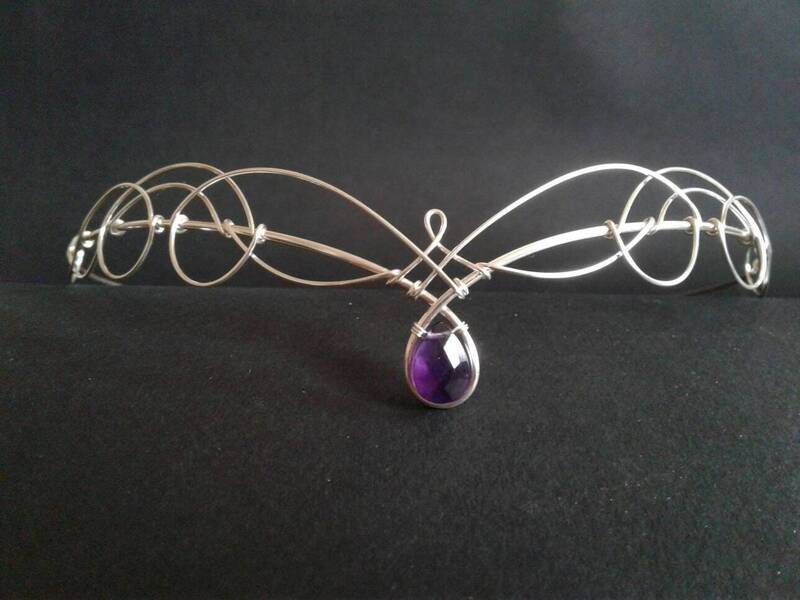 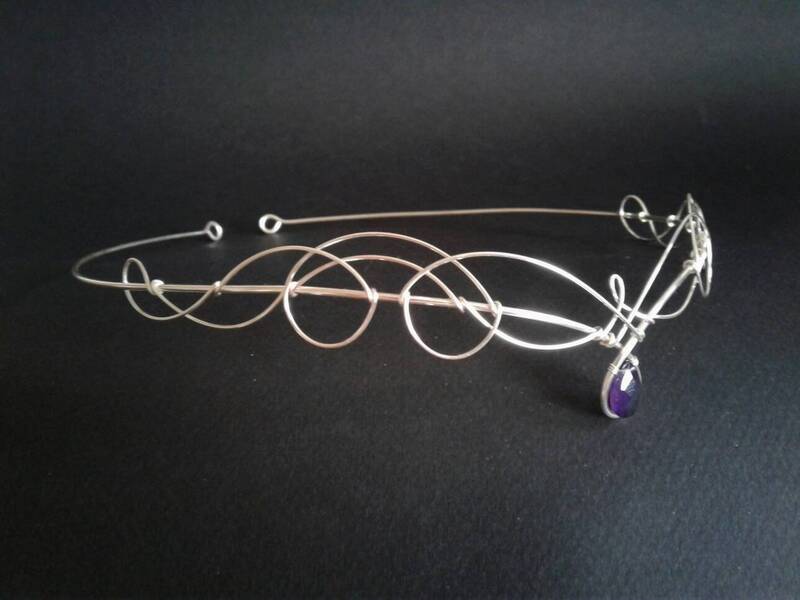 Wonderful celtic elven inspired circlet headpiece, made to be worn over the forehead or on the hairline, this lovely unusual piece is perfect for almost any occasion. 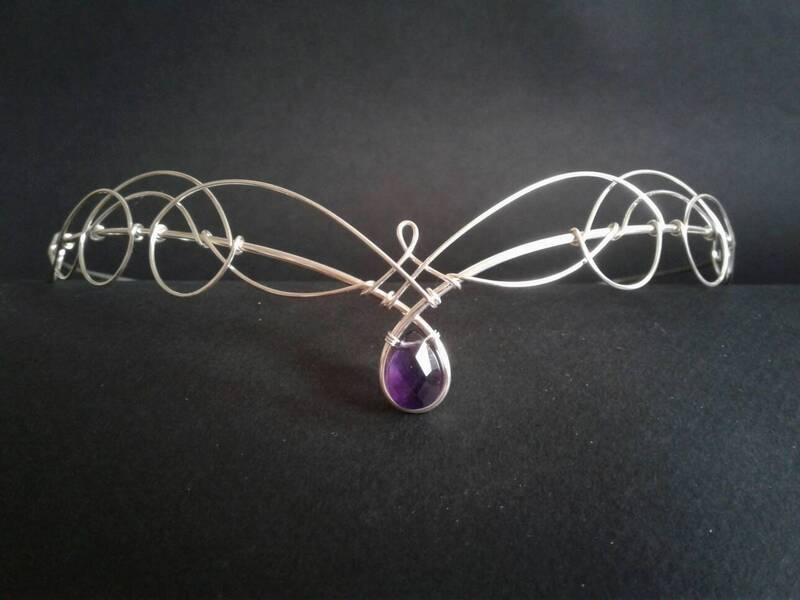 The circlet has a sinigle faceted amethyst pear drop centre gemstone. 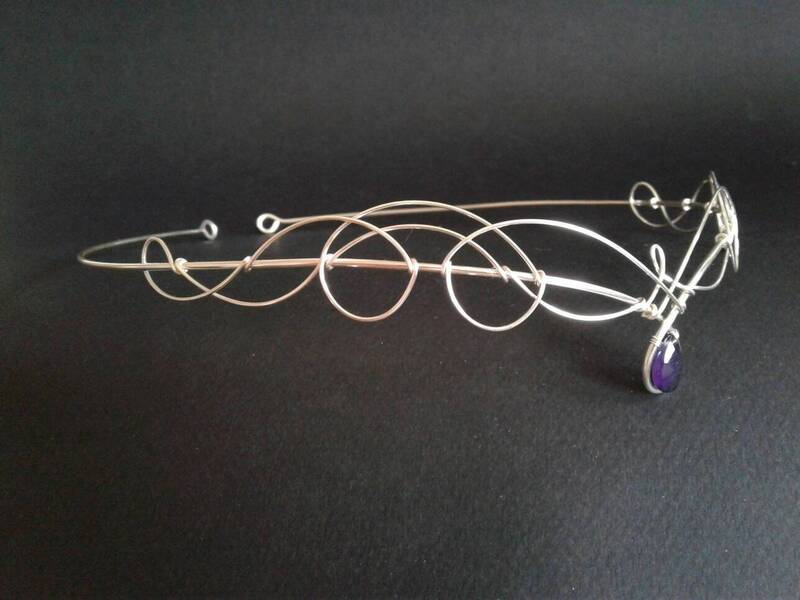 The swirling knot work is made using one continuous length of silver plated wire, staying true to the concept of Celtic designs. 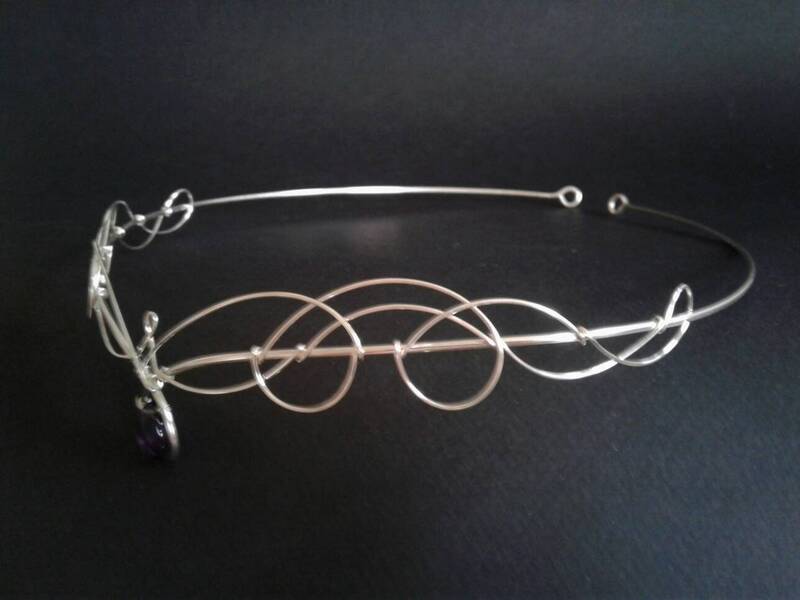 Perfect for bridal, re-enactment, elven, faerie, or pagan ceremonies.